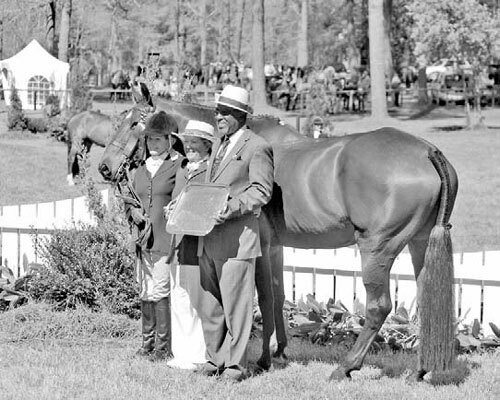 This was the first Aiken Horse Show, and the beginning of a long tradition. The first show brought in throngs of winter visitors, who were nearing the end of their stay in Aiken and Augusta, both popular Southern resorts. World War I was raging in Europe, Woodrow Wilson was the President of the United States, and Louise Hitchcock was the reigning queen of the Winter Colony. It had been a “banner year” for the colony, according to the Aiken Journal and Review, and the city had welcomed an unprecedented number of winter “tourists.” Other notable milestones in 1916 include the recognition of the Aiken Hounds by the Master of Foxhounds Association, and the founding of Aiken Preparatory School. The first show was a success, and each year it got bigger, growing to last two and then three days. It became a society event, the grand finale of each winter season. Results and pictures from the show were featured in the New York Times and on the pages of society magazines. It was also a charity event, originally raising money for the Aiken County Hospital, and later for various other causes. By the 1930s, it was drawing competitors and spectators from near and far. Today, the horse show marks the end of the winter foxhunting season in the Woods, giving hunt enthusiasts a chance to prove their horses in the show ring. It is also the beginning of the Aiken spring horse show season, serving as a precursor to United States Equestrian Federation approved events that will take place in mid-April. Finally, it provides non-hunting members of the community an excellent excuse to take an excursion into the Woods, where they have a chance to appreciate the athleticism of the horses and the natural beauty of the setting. Regular competitors in the Aiken Horse Show in the Woods are unanimous in their praise of the show, and there are many things that make it special. One thing is certainly its location. The show is traditionally held in the horse show ring about a mile into the Hitchcock Woods, a 2,100 acre woodland preserve. Throughout most of the year, the only way to get around in the Woods is to walk or ride or drive a horse. During the horse show, cars are permitted to drive into the Woods, and this is the only time they are allowed. The ring itself is always beautifully decorated with flowers, natural obstacles, and perhaps most important, lush green grass. This is rye grass, planted in the fall and carefully nurtured so that it is an emerald carpet by early spring. No one is allowed to ride in the ring except on the day of the horse show, and it can be tempting. Approaching the ring down the trail from Memorial Gate on show days, it can look almost unreal. It is early spring, and the rest of the trees and bushes are just starting to bud, but everything about the horse show ring is bright, colorful and in full flower. The nature of the show is also special. The Aiken Horse Show is an old fashioned hunter show, with strong family traditions. From the beginning, it was a show with an emphasis on junior exhibitors, and today children’s classes dominate on Saturday. In addition to children’s hunter classes, there are leadline classes and a costume class, giving the youngest children a chance to compete. The family class can involve February-March 2013 The Aiken Horse 11 two, three and even four generations of riders. Families also compete together in the hunter pairs and the hunt teams class. The show has a real sense of community. Proceeds from the Aiken Horse Show in the Woods go the Hitchcock Woods Foundation, which owns and manages the Woods. In addition to the lunches and sponsorship opportunities, the show also holds a silent auction that always includes some spectacular items, as well as hard-to-find historical books and artwork that pertain to the history of Aiken. Beyond the day-to-day maintenance of the woods and trails, the Hitchcock Woods Foundation also has a number of projects that it is working on. For instance, there is a need to have a more accurate map of the Woods that includes all of its trails as well as GPS coordinates. The foundation is working on a study of the Woods that will result in a new, 21st century map. This map will be a full GIS (Geographic Information System) map, including GPS coordinates and geographical information. 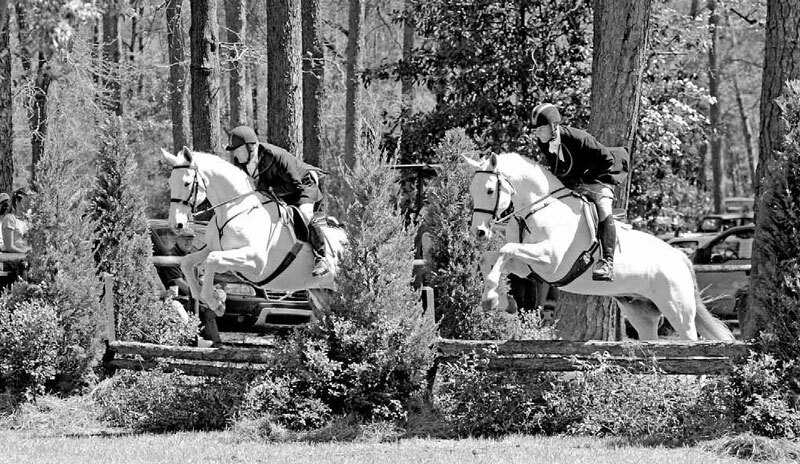 The 97th annual Aiken Horse Show in the Woods will take place from April 5-7, 2013. The competition starts with the $750 Aiken Hounds Welcome Stakes on Friday morning. There are nine classes on Friday’s schedule, including jumping and flat classes in the adult amateur and open hunter divisions, as well as the popular gentleman’s hunter hack. Saturday is traditionally the day for children, and this year there will be a full complement of children’s and junior classes, along with the family class, and the foxhunter hilltopper division. The day ends with the presentation of a number of awards, including two “best child rider” awards and a sportsmanship award. Sunday is foxhunter day, the day when the competition really heats up. The adult foxhunters go in the morning with the junior foxhunters in the afternoon. The presentation of the foxhunter championship is likely to happen around noon. If you would like to be a part of the Aiken Horse Show experience but you are not riding, you can plan to come to the Woods and watch. General admission is free, but if you want to drive down and park near the ring, there is a $10 parking charge. If you would like to support the show in a bigger way, you can reserve railside parking (this is quite limited) for $100 per day, or buy any number of different packages that will get you admission to the ringside tent, lunch each day, and admission to the sponsors’ cocktail party that takes place on Thursday night.